There's a new challenge starting today at Ooh La La Creations. The challenge theme is Die Cuts. 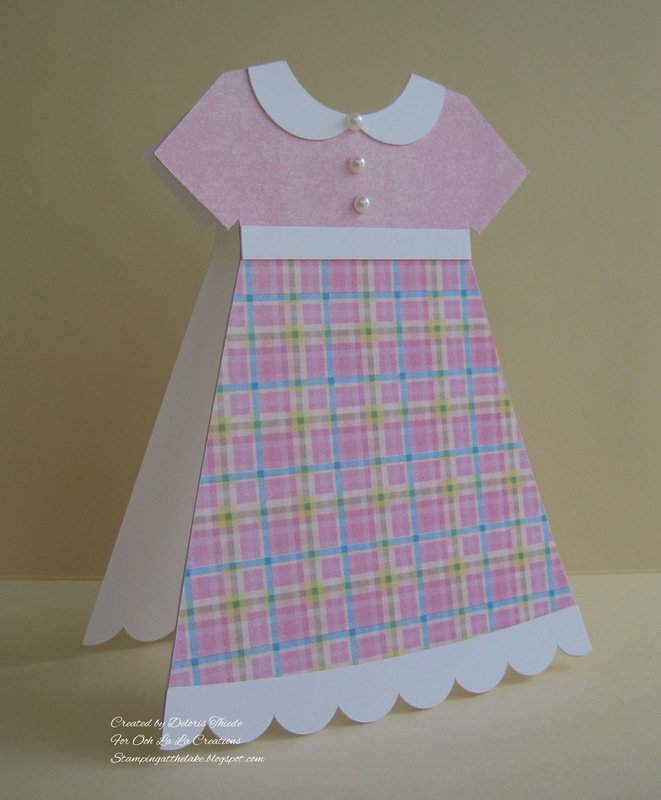 I created my dress shaped card using a plaid paper from the Hearts And Laces Kit which is in the Paula Oakley Collection CD. It's available at the Ooh La La Creations Store. I cut out all the pieces using my Silhouette Cameo and cut file #55805 from the Silhouette store. Added some pearls from my stash. This is beautiful Deloris, pretty papers and fabulous design. Such a cute dress - the papers look lovely on it.